Search Engine Optimisation. 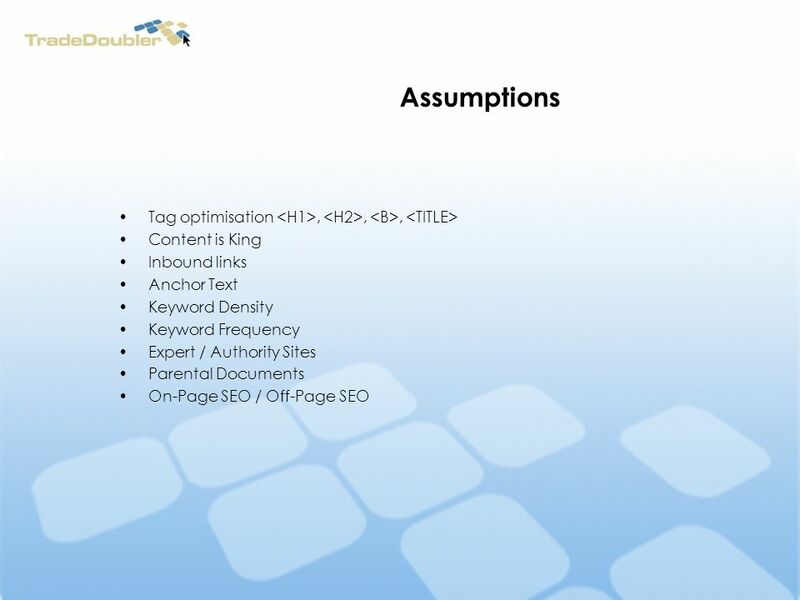 Assumptions Tag optimisation,,, Content is King Inbound links Anchor Text Keyword Density Keyword Frequency Expert / Authority. 3 SEO resource vs PPC resource Why SEO is more important Q4 is coming; PPC ROI goes down, bids up, competition everywhere. Direct-To-Merchant deals more difficult to land. Google disabling routing/jump pages. 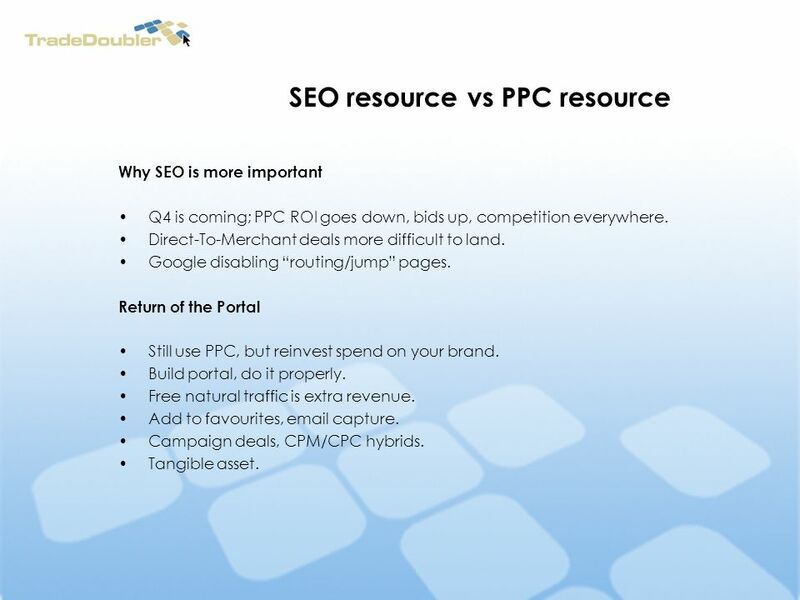 Return of the Portal Still use PPC, but reinvest spend on your brand. Build portal, do it properly. 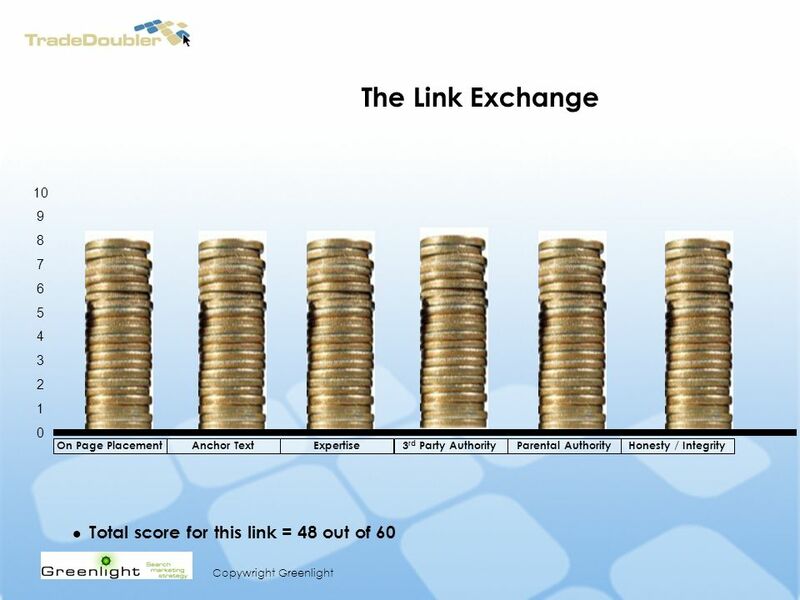 Free natural traffic is extra revenue. Add to favourites, email capture. Campaign deals, CPM/CPC hybrids. Tangible asset. 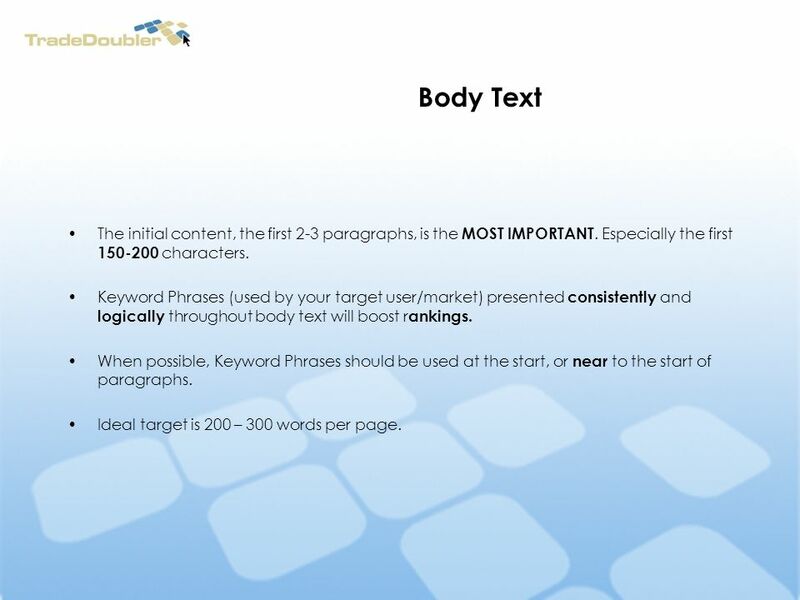 5 Body Text The initial content, the first 2-3 paragraphs, is the MOST IMPORTANT. Especially the first 150-200 characters. Keyword Phrases (used by your target user/market) presented consistently and logically throughout body text will boost r ankings. When possible, Keyword Phrases should be used at the start, or near to the start of paragraphs. Ideal target is 200 – 300 words per page. 6 Things you may not know. The Title tag has a stronger weight with regards to Googles ranking – BUT – Google will try to match keywords and phrases in the Title tag with links and text in the page. Title tag should be varied to reflect each page. First 60 characters are the most important, title tag should be no longer than 15 words. 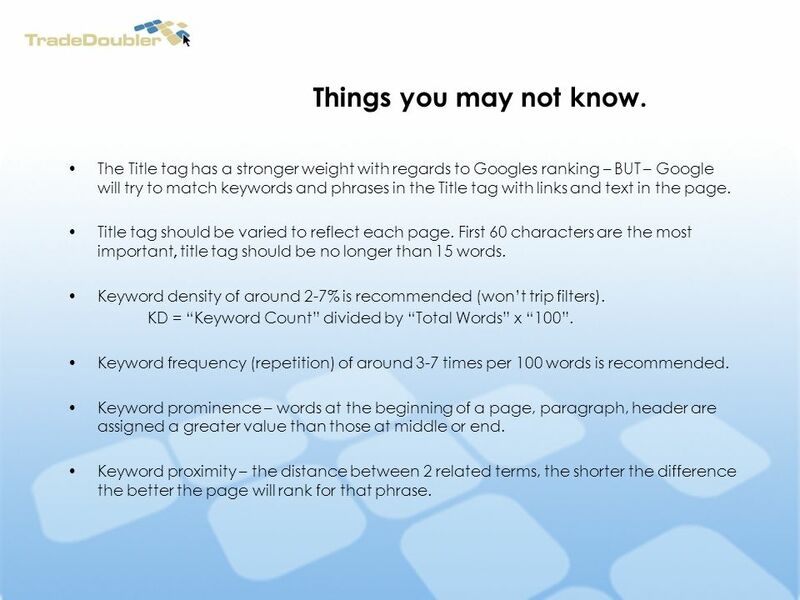 Keyword density of around 2-7% is recommended (wont trip filters). KD = Keyword Count divided by Total Words x 100. Keyword frequency (repetition) of around 3-7 times per 100 words is recommended. Keyword prominence – words at the beginning of a page, paragraph, header are assigned a greater value than those at middle or end. Keyword proximity – the distance between 2 related terms, the shorter the difference the better the page will rank for that phrase. 12 Search Engine Optimisation – Best Practice Keyword Rich Title Description Spider Friendly URL Keywords in URL For Page Heading Search Engine Friendly Keyword Rich Text Text Based Menu Links Where is a good example of SEO? 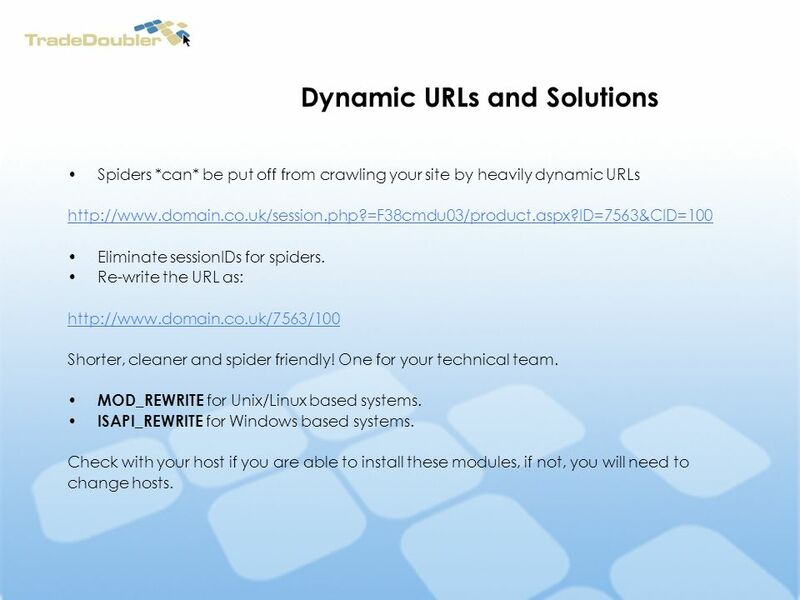 14 Dynamic URLs and Solutions Spiders *can* be put off from crawling your site by heavily dynamic URLs http://www.domain.co.uk/session.php?=F38cmdu03/product.aspx?ID=7563&CID=100 Eliminate sessionIDs for spiders. Re-write the URL as: http://www.domain.co.uk/7563/100 Shorter, cleaner and spider friendly! One for your technical team. MOD_REWRITE for Unix/Linux based systems. ISAPI_REWRITE for Windows based systems. 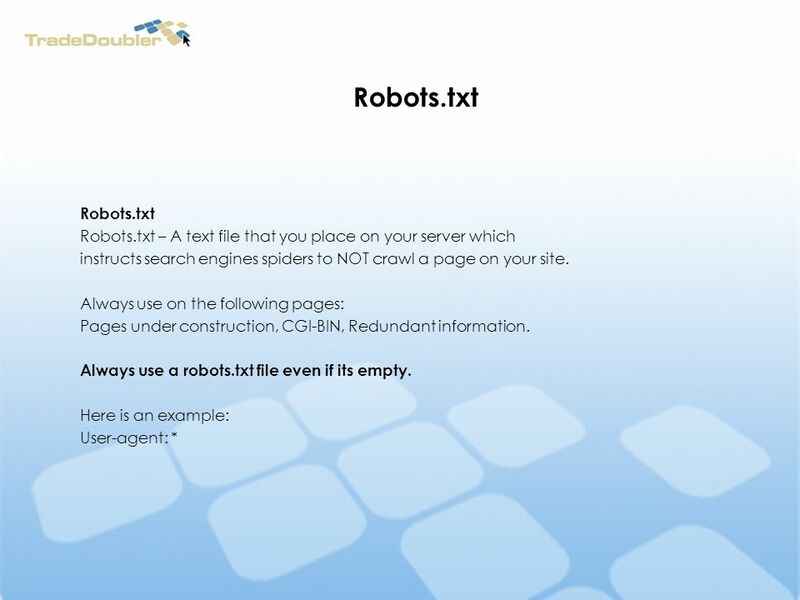 Check with your host if you are able to install these modules, if not, you will need to change hosts. 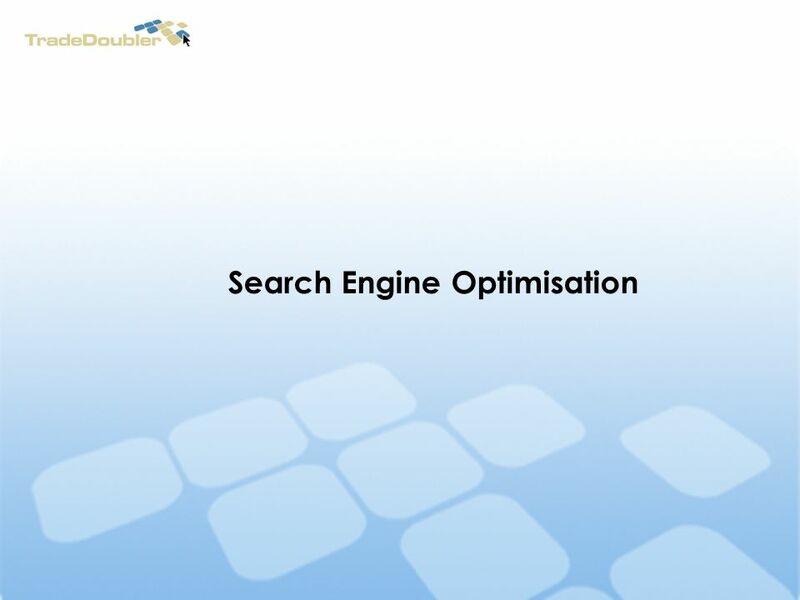 Download ppt "Search Engine Optimisation. 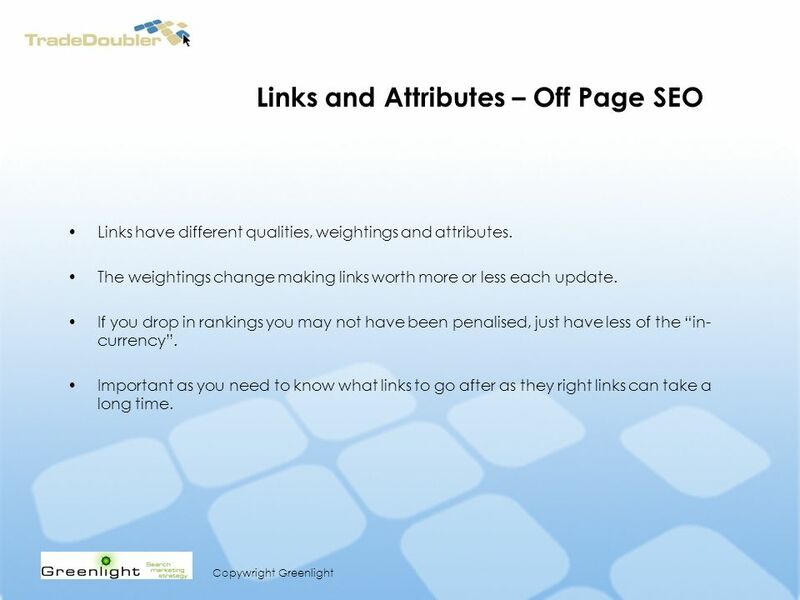 Assumptions Tag optimisation,,, Content is King Inbound links Anchor Text Keyword Density Keyword Frequency Expert / Authority." (SEM) SEARCH ENGINE MARKETING Build Your Brand & Maximize Revenue. 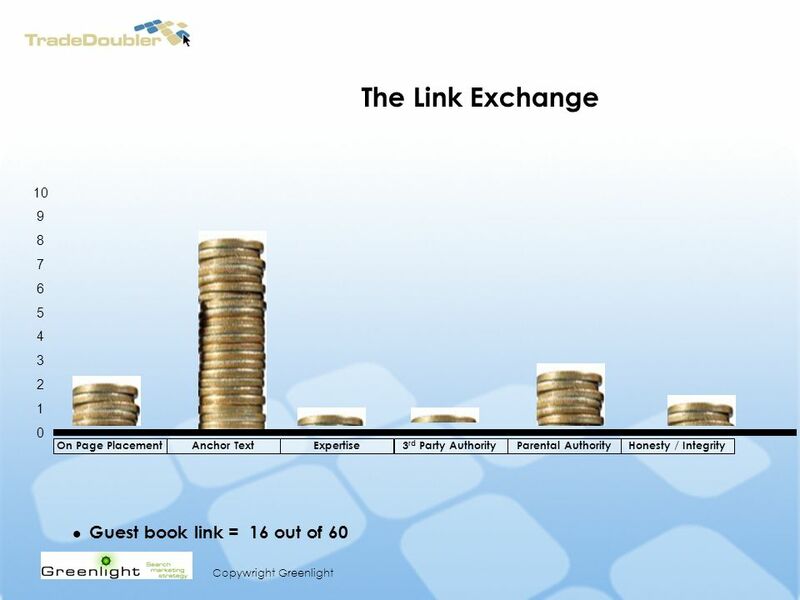 Link Building. 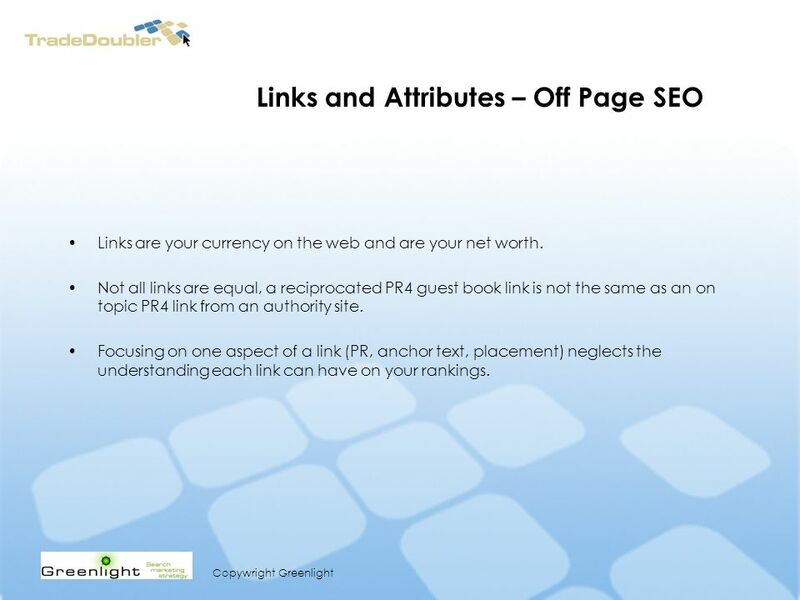 Link Building Workshop How to get Links Co-citation Link building Dos Link building Donts. Keeping Up With Google improve your site traffic through search engine optimization Patty Clemens Project Manager Northwoods | November 11, 2008. Optimize Your Web Design Business Site: 10 Tips On SEO (Search Engine Optimization) to Drive Traffic To Your Business presented by seOverflow. 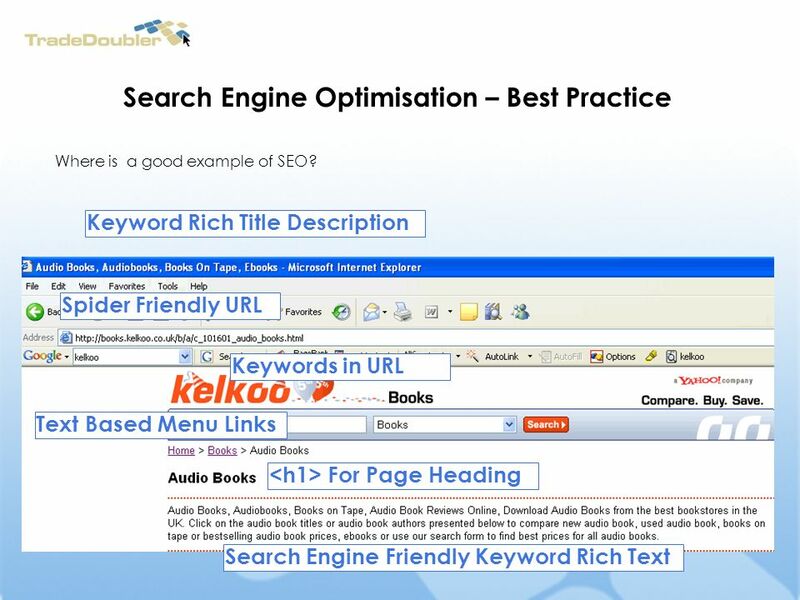 Clear Web Services – Guide To SEO And Web Optimisation. Local SEO Panel Search Engine Optimization – employing techniques that help your website rank higher in organic (natural) search results. What is SEO. PHP Meetup - SEO 2/12/2009. Where to Focus? 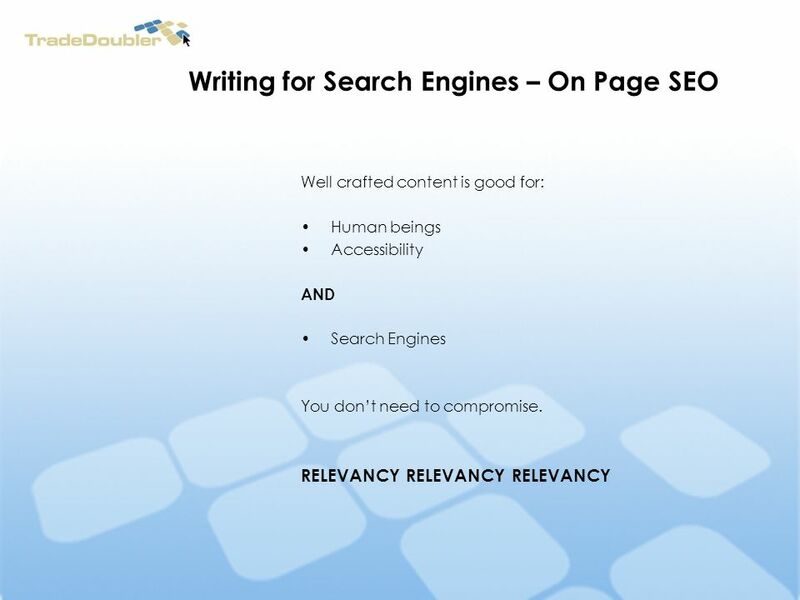 Ensuring the findability of content Ensuring content is well understood by search engines Maximizing the importance. SEO Best Practices with Web Content Management Brent Arrington, Services Developer, Hannon Hill Morgan Griffith, Marketing Director, Hannon Hill 2009 Cascade. 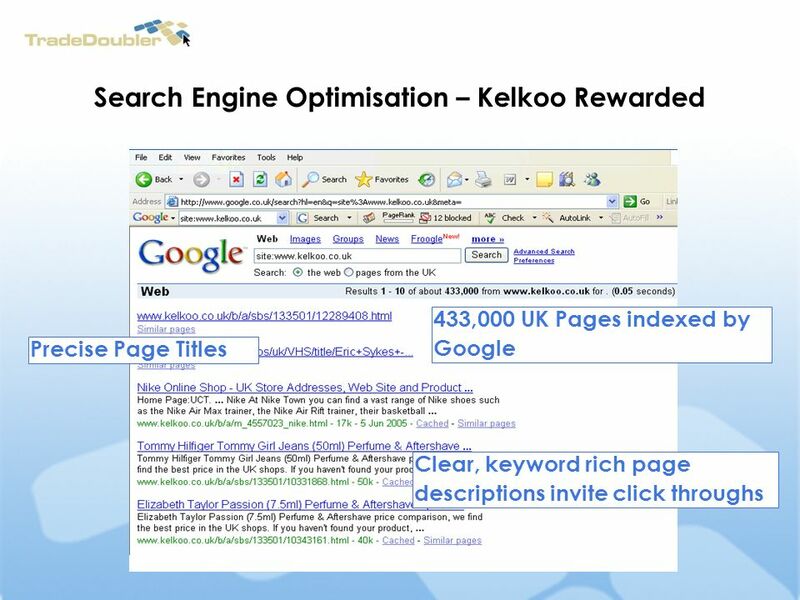 1 S.E.O Search Engine Optimization. 2 History of Google Began January 1996 Stanford University California Larry Page and Sergey Brin “BackRub” used a. Presented by Karen Porter UM School of Business Administration & ImpactOnlineMarketing.com Website Development Basics ImpactOnlineMarketing.com. 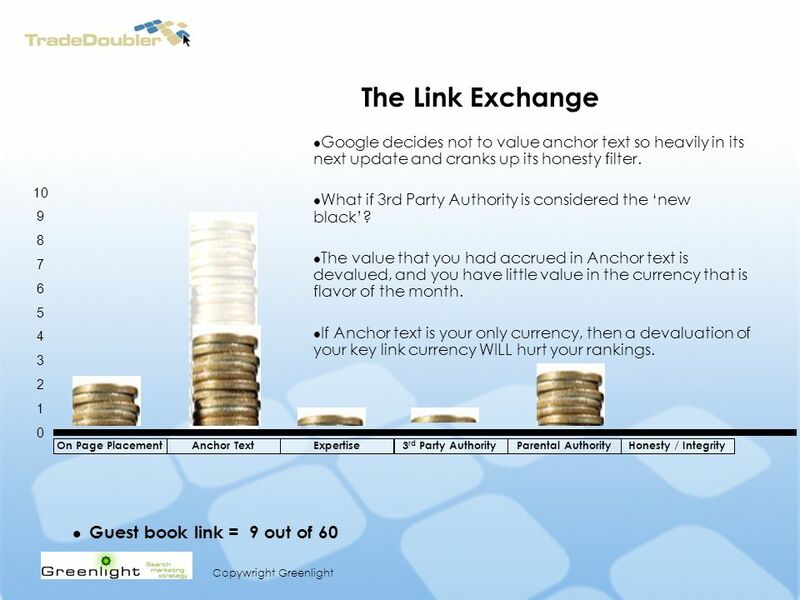 The Values of a Link for Search Engine Optimization. Search Engines & Search Engine Optimization (SEO) Presentation by Saeed El-Darahali 7 th World Congress on the Management of e-Business. The process of increasing the amount of visitors to a website by ranking high in the search results of a search engine. Search engine marketing MARK 430. After today’s class you will be able to:  Distinguish between search engine optimization and search engine advertising. 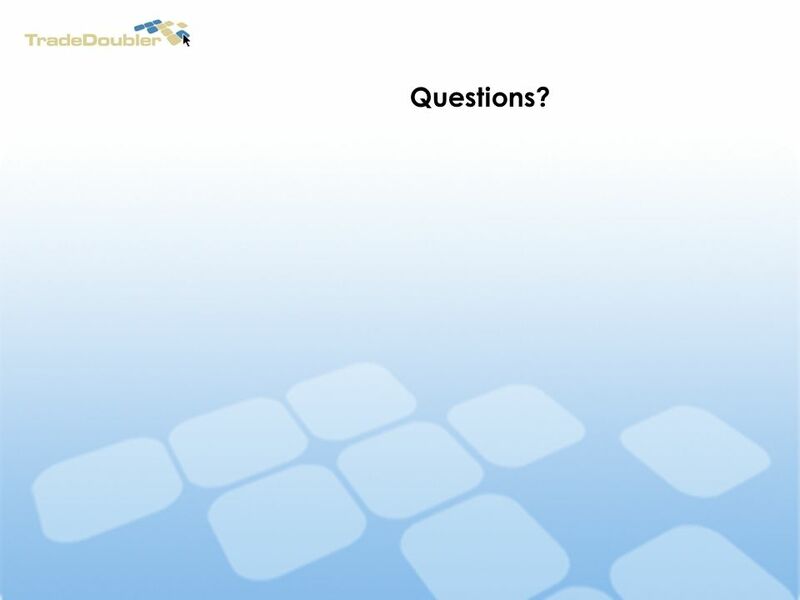 Best Practices for Website Design & Web Content Management. Search Engine Optimization By Andy Smith | Art Institute of Dallas. Chapter 1 Getting Listed. Objectives Understand how search engines work Use various strategies of getting listed in search engines Register with search.